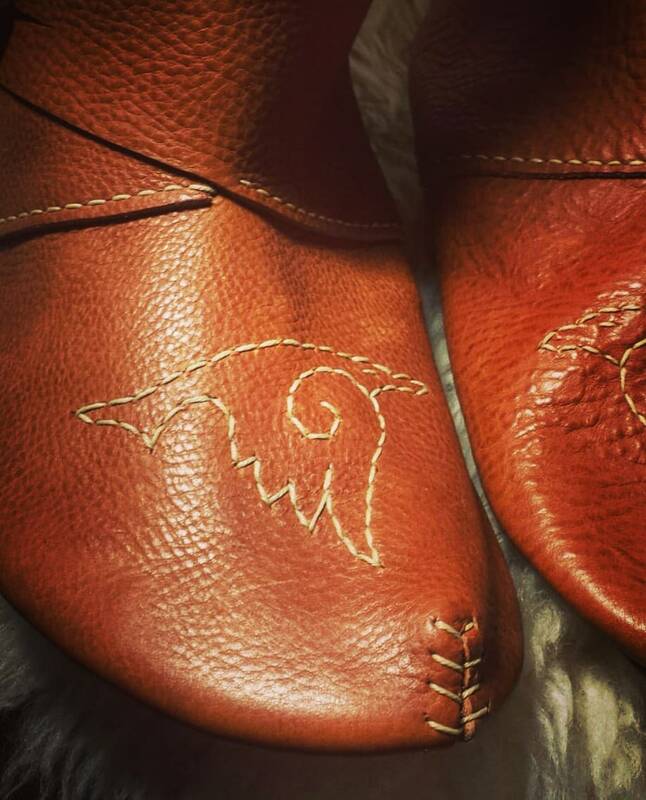 These are customizable leather turnshoes, made in the style of the historical shoes worn during the Viking Age. 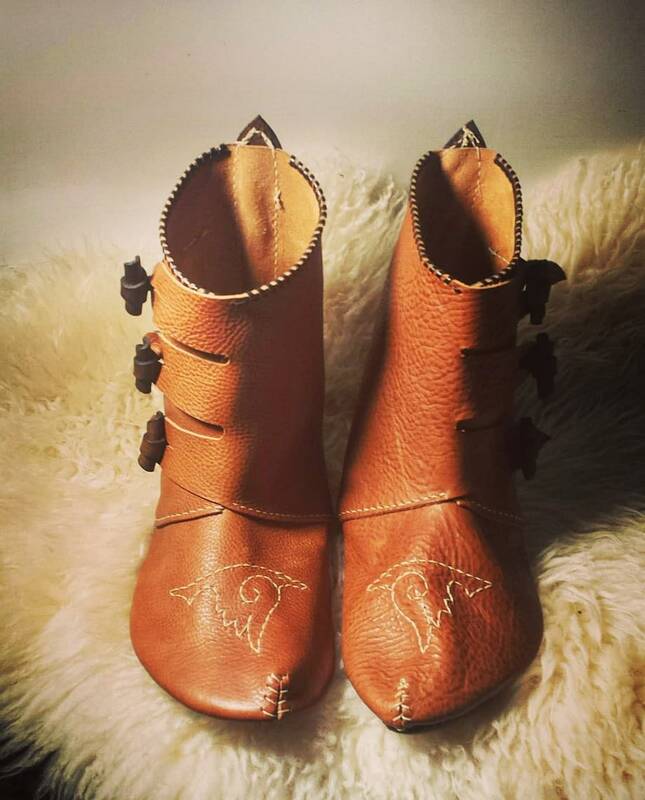 These shoes are perfect for LARP, SCA, Renaissance Faires, festivals, etc. 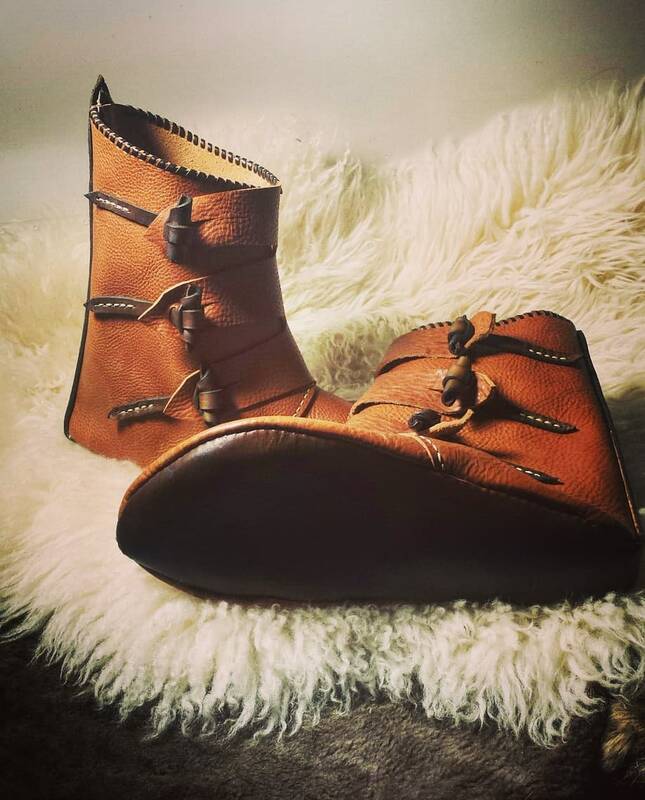 These are the taller Jorvik Boot option, with three toggles. They also feature a raven stitched design. IMPORTANT: Please read ALL of the following information to make sure you get the most out of your customized product! Also take note of the estimated processing time. 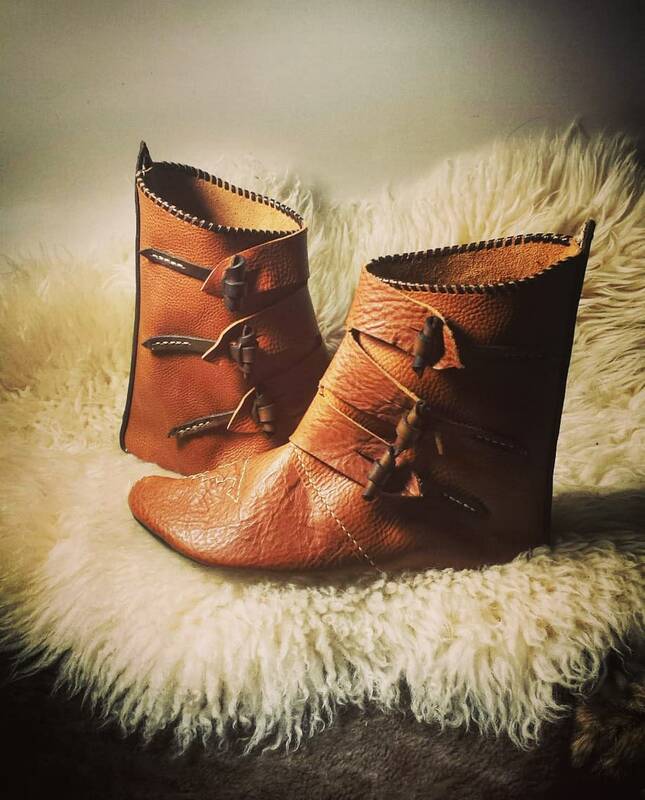 These shoes take time to make, and each pair is custom made to your feet. 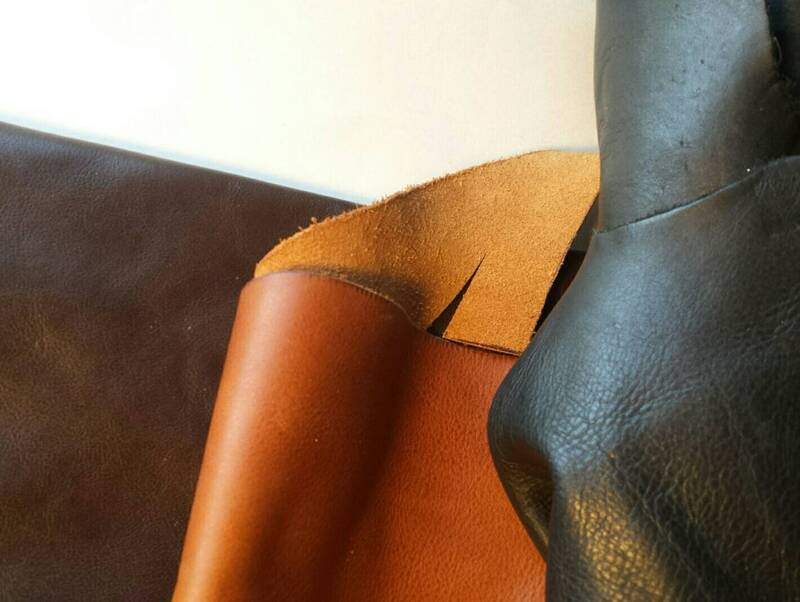 2) Choose primary color: This will be the color of the main top leather of the shoes. Shown is the Light Brown option.